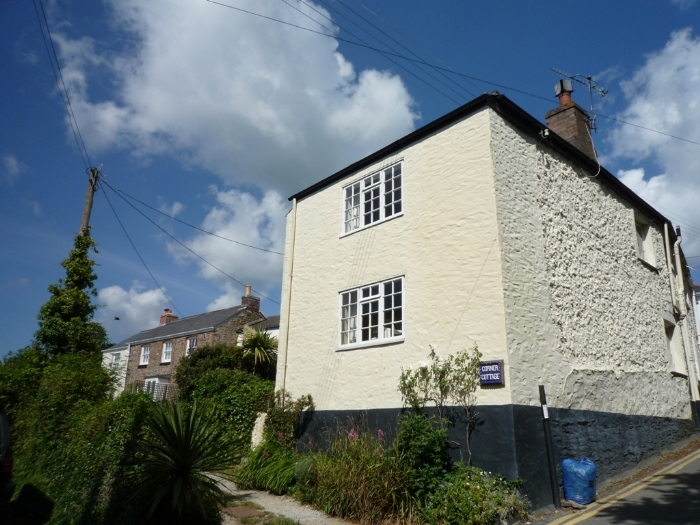 Corner Cottage was in a lovely position in St Mawes, close to the harbour, shops and local footpaths and with the added bonus of on site parking. Cottage was clean and well looked after and we thoroughly enjoyed snuggling up in front of the fire every evening after our days out. The Corner Cottage was clean, comfortable and lovely place for a family stay. 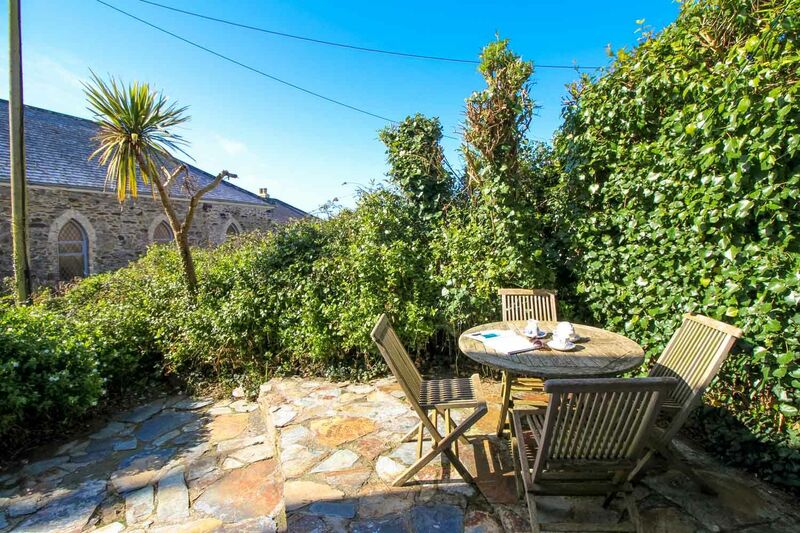 It provides all necessary facilities and benefits from excellent views and very convenient location in close proximity to the centre of St Mawes. Highly recommend..! Superb cottage in a fantastic location. Weather helped during our visit but this would make a great base whatever the weather. 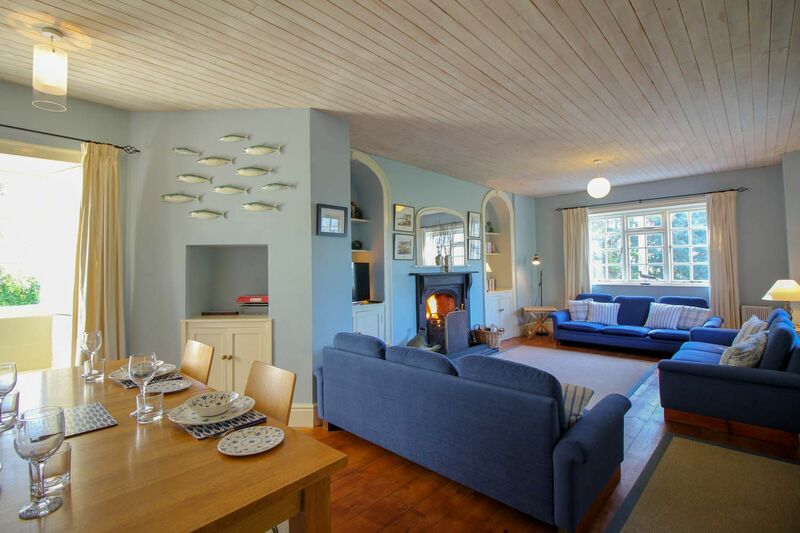 Well presented and cared-for with everything you need for a week in St Mawes. Will definitely look to come back. Well-maintained cottage in a beautiful location. Would stay there again if re-visiting Roseland Peninsula. Our first visit to St Mawes, we had a lovely chilled week with walks and ferry trips virtually from the door of the cottage. Very friendly local pubs, shops etc. The cottage has everything you need for a week's holiday and the location is fab, lovely view from the main bedroom. 3rd stay in ideally located Cottage with all home comforts. Sea view and cosines on blustery days, secluded sunny courtyard a treat. 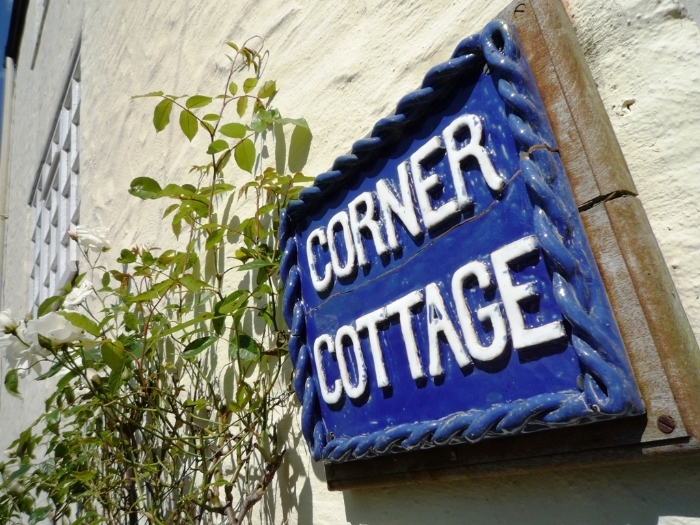 Our second stay at Corner Cottage which is perfectly suited to our needs. The cottage is cosy but has enough living space for a night in. The open fire was perfect for the chilly spring evenings. The cottage is ideally situated for walking to the town below or to the back road that leads to fields and the coast path for dog walks. Lovely comfy beds!! The cottage is in a very good location only 150m from the harbour although it is on a very steep hill. St Mawes has the advantage of being about 15 miles from the main roads through Cornwall but this is also a slight disadvantage for sightseeing. We loved the quiet location and found the local pubs, especially The Rising Sun excellent value for money and the food so good we never cooked at the cottage. The cottage is spacious with a large lounge with plenty of seating for relaxing with a glass of wine before walking to the pub for some food. The cottage was spotless and there was plenty of cutlery, plates and mugs. The master bedroom has a large comfortable bed, with plenty of wardrobe and drawer units. If you want a few nights of quiet relaxation I recommend St Mawes and Corner Cottage and at £80.00 per night, far better than a hotel. It was so easy to find the cottage and we appreciated the parking space (even though our large car only just squeezed in to it). We thought the cottage was very comfortable and spacious, but might not be suitable for small children due to the lack of outside space for letting off steam. We didn't need any of the games provided because we spent a lot of time on trips, nor did we use the kitchen other than for making hot drinks and using the dishwasher, but if we had been staying longer than a week we would certainly have needed the washing machine, cooker and microwave. There seemed to be everything you could need to cook properly, but we would have liked a cafetiere and would have brought our own if we knew there wasn't one. I think they are pretty standard items nowadays. We chose Corner Cottage specifically because it had a 6 foot bed, whereas most of the other cottages we looked at only had 4'6" ones, which made us think their rooms must be small. 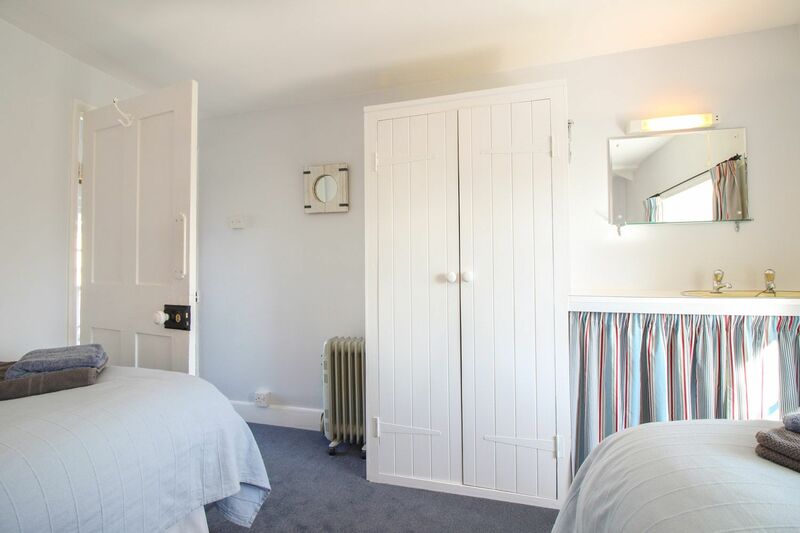 However, the bedrooms at Corner Cottage are spacious and both have good sized wardrobes. We only used one bedroom but I did go into the other one when looking for a hairdryer (yes, I did find one!). The twin room has a washbasin. The bathroom is a good size too and was very clean. 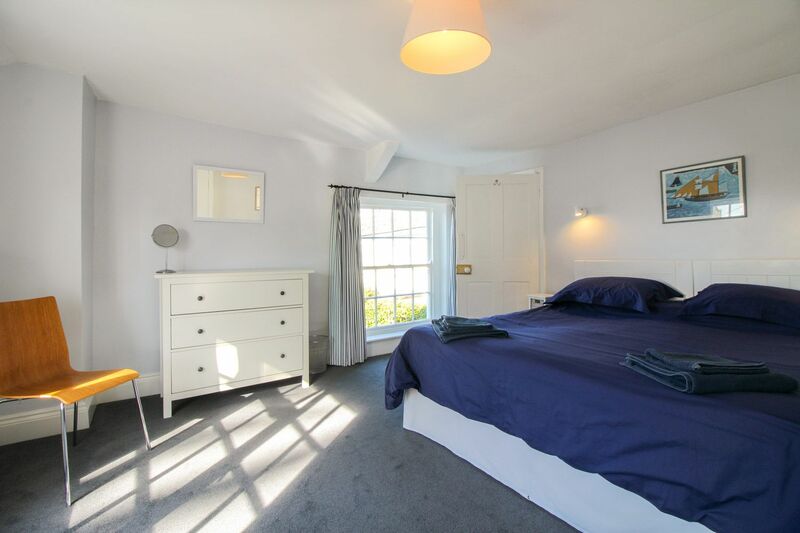 The bed in the main bedroom is quite firm but we slept very well, and were surprised how quiet it was, especially as the cottage is right on the road halfway up a VERY STEEP hill ( we think it is one in three if not steeper!) There are good views from the bedroom, and it takes only about 3 minutes to walk down to the harbour area, where there are shops and lots of places to eat. All in all we would be very happy to stay in Corner Cottage again, as there is still plenty to see in the area that we didn't have time for. Corner Cottage is a lovely, comfortable house and we would definitely stay again. It's particularly helpful to have your own parking space in St Mawes during the summer. Great stay in a perfect location, view from main bedroom inspiring. So happy to find a cottage that is dog friendly. For some the steep hill from the harbour to the cottage would be off putting but for me, hubbie and dog it was good exercise! A extra addition of a DVD player would be an asset for rainy days other than that a well equipped cottage. Would definitely use again. Reply from Sarah Conlin We are so pleased you enjoyed your stay at Corner Cottage but we're sorry you did not find the DVD player. It is in the cupboard under the TV, along with some DVDs. I've added this information to our welcome book. A homely cottage with all the appliances you need for a comfortable holiday. The owners have given it a lot of thought. The car parking space is a real advantage. In addition being allowed a dog is a plus. The only draw drawback is the hill you have to climb to get to the cottage but with the car parking space it's easy to nip down to the village and not worry where to park on your return. Altogether situated close to the road it is a quiet situation. 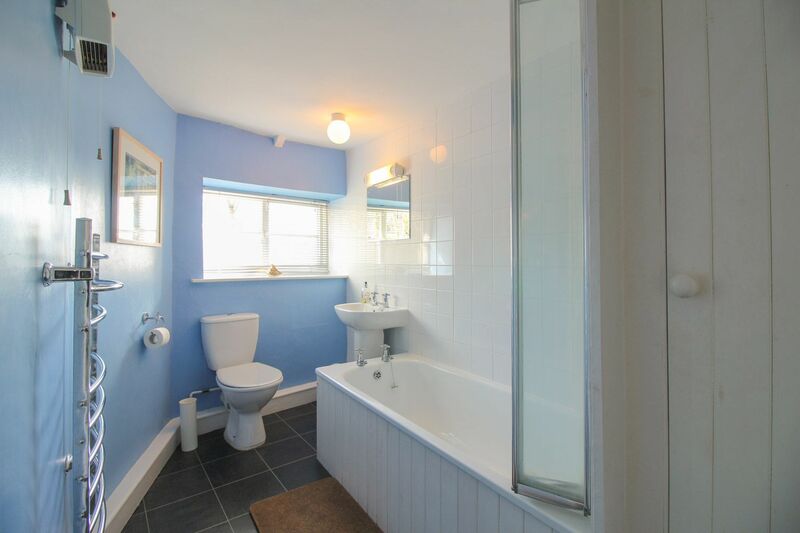 Whilst superbly located this cottage needs some redecoration to be really comfortable. The drawers in the main bedroom were broken and the decorative state in some parts is needing some attention. 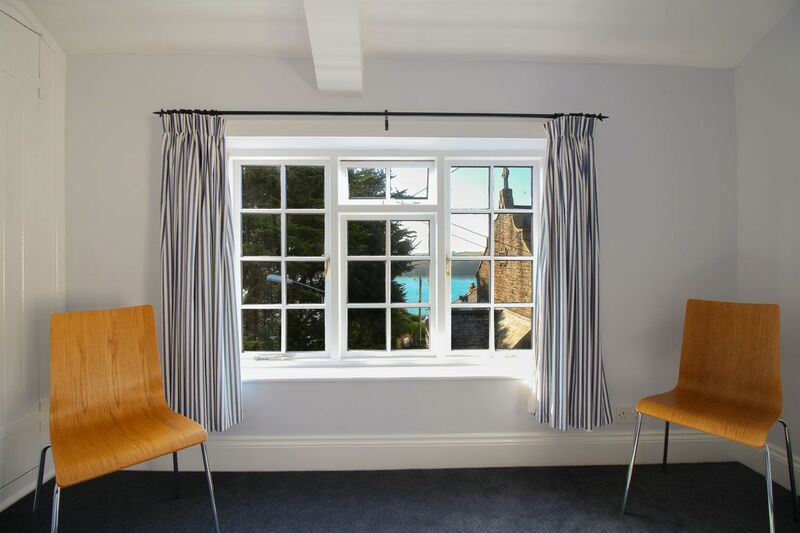 However, the cottage is overall comfortable and located superbly for all that St Mawes has to offer, whilst also very relaxing and quiet. We chose this cottage because of the parking, but barely used the car while we were there due to the great local walks and ferries. Would probably choose a different cottage next time unless it had been updated somewhat, but we loved St Mawes. Just three nights and terrible weather. 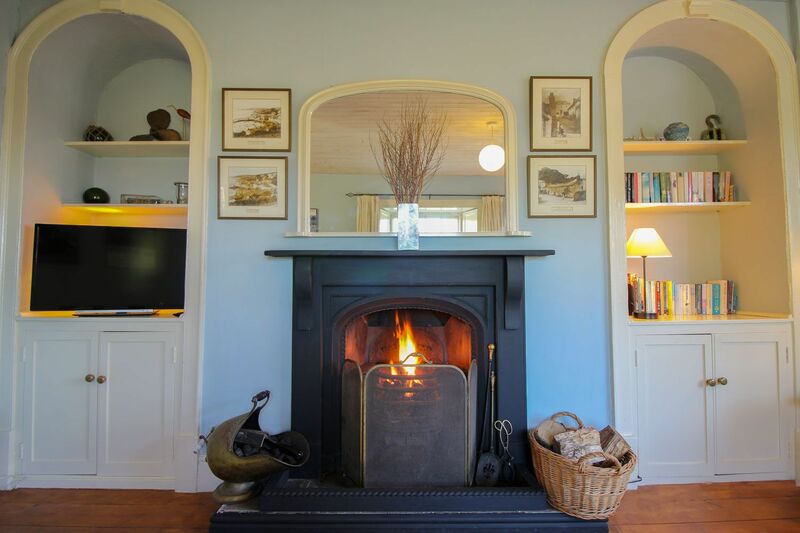 However it was lovely to snuggle up by the open fire in the spacious living room after a bracing walk with the dog or an excellent supper in one of the dog friendly eateries in St Mawes. Very well appointed.cottage with everything you need in the kitchen. Comfy beds and convient private parking space. Hoping to come back in spring and enjoy the outdoors a little more. Corner Cottage had a delightful atmosphere . Well equipped kitchen and comfortable beds . 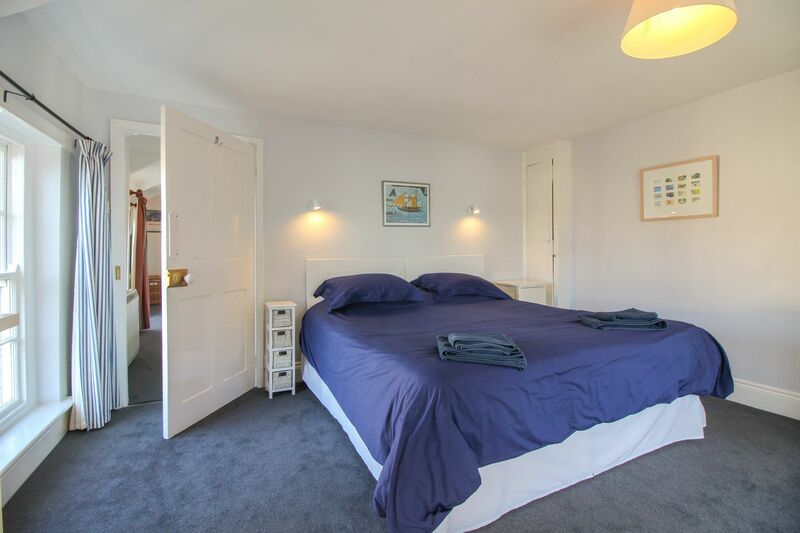 The main bedroom could do with a full length mirror and a couple of comfortable bedroom chairs . The dining room chairs up there look awful .Cushions on the chairs in the dining area would be a good idea too. .Maybe a warning about the steep hill would be a good idea for the older visitor . This was our third stay at Corner Cottage and, as before, we had a great holiday. The cottage is perfect for us; it is welcoming, spacious has all amenities and is thoroughly relaxing. It is a 5 minute walk to the harbour and a great base from which to explore the Roseland. We look forward to staying at Corner Cottage again and would thoroughly recommend it. Our family stayed in Corner Cottage in late August 2015 and it was was perfect in every way. 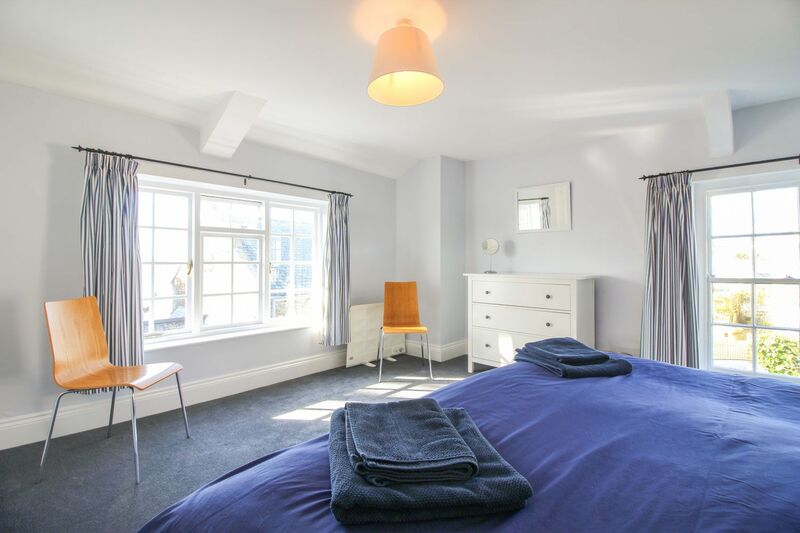 Bedrooms cosy and comfortable, location great - would definitely visit again. This is our second visit to Corner Cottage and it was excellent - just what you need to have a fantastic and relaxing holiday. Cottage and location are brilliant. Great sitting room - lovely size. Well kitted out - the cottage has everything you may be in need of. Just a quick walk down onto the front & harbour - a bit longer on the way back as it is a steep (but short) climb up. Victory Inn very close. Beds are comfortable. We had a great week with our Miniature Schnauzer. Plenty of walks nearby. Well cared for comfy house with everything one needs on holiday, tastefully done. It is on a steep hill and that should be borne in mind if you are elderly or disabled but otherwise a perfect base for exploring the lovely Roseland peninsula. Note to owner: the leaky shower hose needs replacing, otherwise top marks! Our stay in Corner cottage was excellent the cottage is very spacious and has every thing you need to make your stay run smooth, the view from the bedroom window of the harbour is breathtaking all in all an excellent find. We thoroughly enjoyed our stay here - the cottage was excellent, St Mawes was fantastic and we will certainly be booking here again. Would definitely recommend. Corner Cottage is a very pretty and homely place to stay, located within a few minutes from the sea front but up a very steep hill. St. Mawes is a lovely Cornish seaside town and I would go back but probably not to Corner Cottage as I have some back and hip problems and would try to avoid such a steep climb. The cottage itself was well equipped and felt like home from home but could have been cleaner especially in the kitchen area. Also, due to unexpected circumstances, our stay was from the 20-28 August and as I am aware that the cottage had not been rented to any other visitors and I had given a month's notice regarding this, I feel that value for money was a bit steep as I paid for 3 days that I was not there. We did not receive any service during our stay but I have put ok and I am not sure if I would recommend the property due to the steep hill and the matter over the fees. 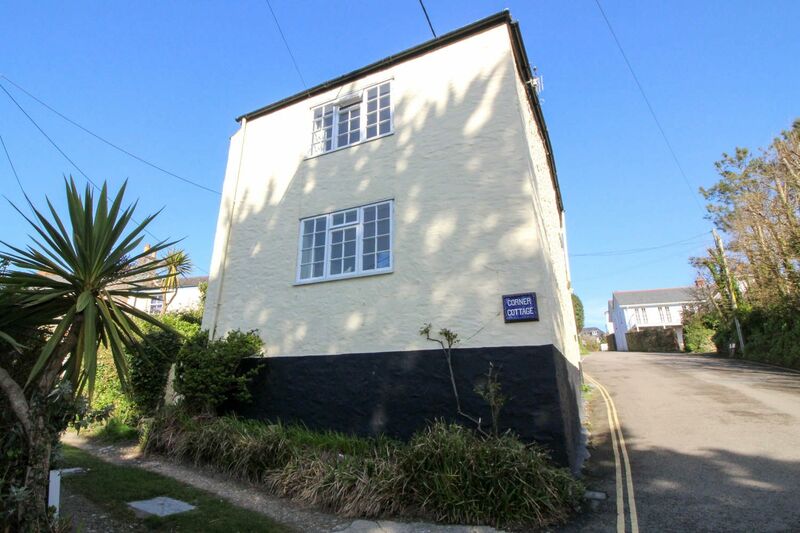 First to note, Corner Cottage is on a steep hill, but it's not restricting if you're able-bodied, and it's not long (2 minutes) down to St Mawes harbour. 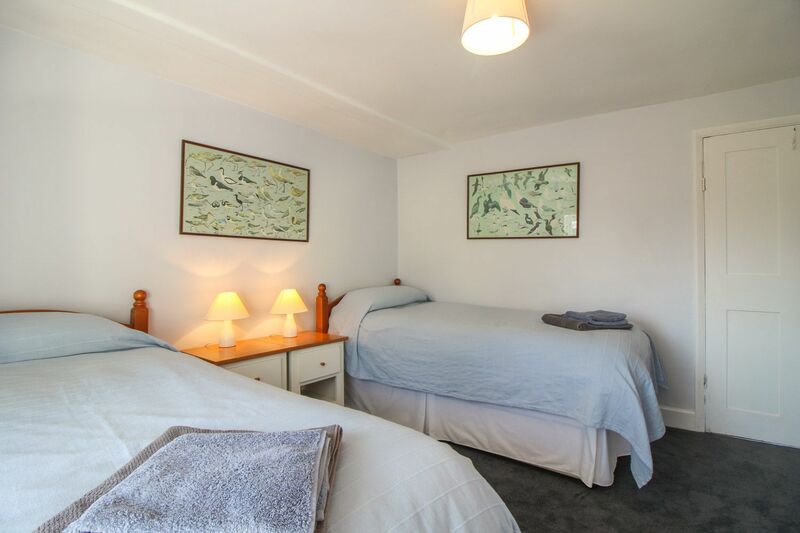 The house is comfortable and well-proportioned for a family stay - we were five, one on a camper bed which is provided. All the facilities were good - kitchen, bathroom, living space, internet etc. Location is quiet and door at the bottom of the stairs helps to segregate the house further. Outside patio area was lovely, catching the sun in afternoon and evening and good for BBQ. St Mawes itself has all the shops and amenities you could need within walking distance. Also well connected by ferry to Falmouth and the Roseland. Lots of nice places to eat and relax! The weather for our week was excellent, so all-in-all a very, very good holiday. Corner cottage is a beautiful house, we found it had everything we needed for our holiday, a kitchen kitted out like home, it was clean relaxing, light and spacious.Having a log fire in the evening topped off our days wonderfully. Was so relaxing sitting in the cottage's private contained garden, with a cold glass of wine after a walk and visit to the lovely St Mawes castle, and a tipple on the terrace of the Hotel Tresanto overlooking the stunning views. We all thoroughly enjoyed our first stay in St Mawes after staying in various locatins in Cornwall for over 30 years and would absolutely recommend Corner Cottage to others, with one caveat, although the parking for two cars great and driving access is fine, when on foot it is a very short walk to the village and sea, however the cottage rests on a very steep hill that we found challenging to get back up some days, this may affect persons with problems with mobility (as our daughter has) but overall it was superb and we had a great time. 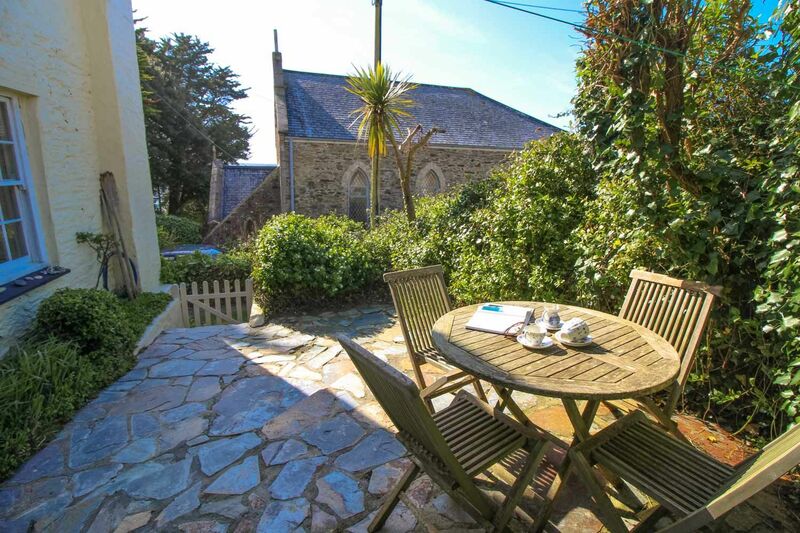 A big thank you to Cornwall cottages for a superb service and to the owners of Corner cottage who obviously take great pride in their property and very good care of their "holiday lodgers"
This was our third visit to Corner Cottage and we loved every minute of it. 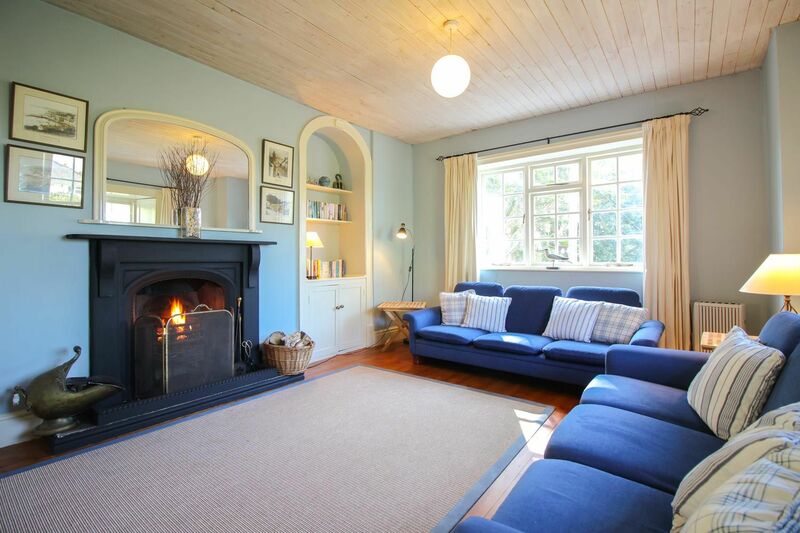 It is a wonderfully welcoming cottage in an ideal location and it feels like a second home to us. It is a quiet, peaceful spot and takes less than 2 minutes to get to the beach (our 7 year old times it!!) Counting down the days to next year! After a hectic drive down from London, it was a very welcome relief to arrive at "Corner Cottage" what a delight. The cottage was warm, clean, homely and had everything you needed. The location was the best, I don't know whether it's a well kept secret or it's the steepness of the roads that keep the tourists at bay but whatever its great. Back in Australia dreaming of our time spent there, hope to come back soon. Pretty character cottage in a lovely location with views to the sea, and with parking, it had everything we were looking for, and more. Only a short walk to the harbour with a lovely selction of shops and restaurants, and also some scenic coastal walks on the doorstep. We had a relaxing break, and highly recommend this cottage. We found your website easy to use, factual and your advantage of being able to provide an honest representation of a pretty, clean, dog friendly cottage at the right location and price. Your booking staff were fantastic, the customer care was second to none. I have already recommended your business to my colleagues who are considering a short break later this year. The personal touch and care will keep customers returning along with affordability and an honest description. We had a lovely holiday, the cottage was comfortable and homely and a great place to relax in after a day's walking. 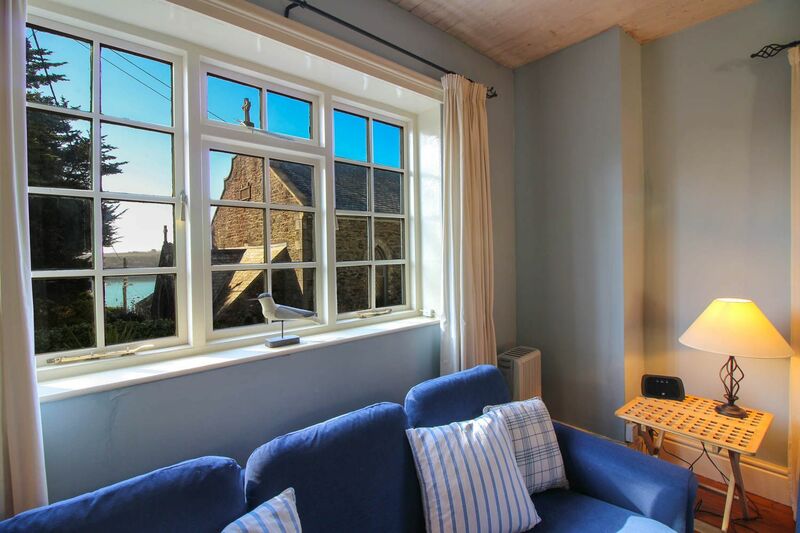 Corner Cottage is just perfect for those seeking a traditional cottage in the heart of St Mawes. 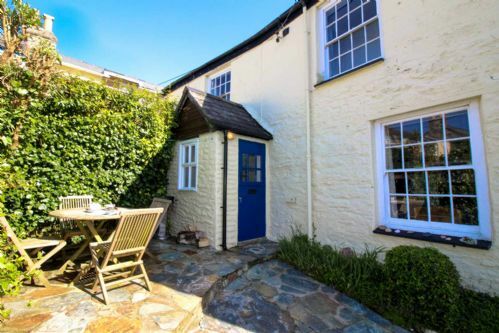 Situated in a quiet location up a short, steep hill a few minutes from the harbour, this delightful and welcoming cottage is very well presented by the Owners and provides comfortable accommodation for up to 4 adults with a further fold out bed suitable for a further child or younger person. 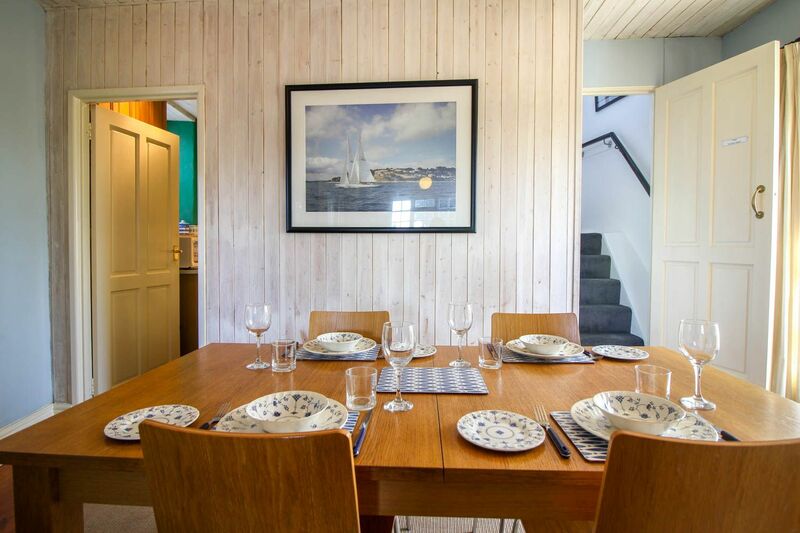 The cottage is ideally located for exploring St Mawes and it is only a short walk down the hill to the harbour with its selection of pubs and hotels. Summers or Tavern Beaches are only a little further. The little Place Ferry can take you to the dramatic St Anthony Headland with its coastal walks and sandy beaches and the main St Mawes Ferry brings the attractions of Falmouth within a 20 minute ride. 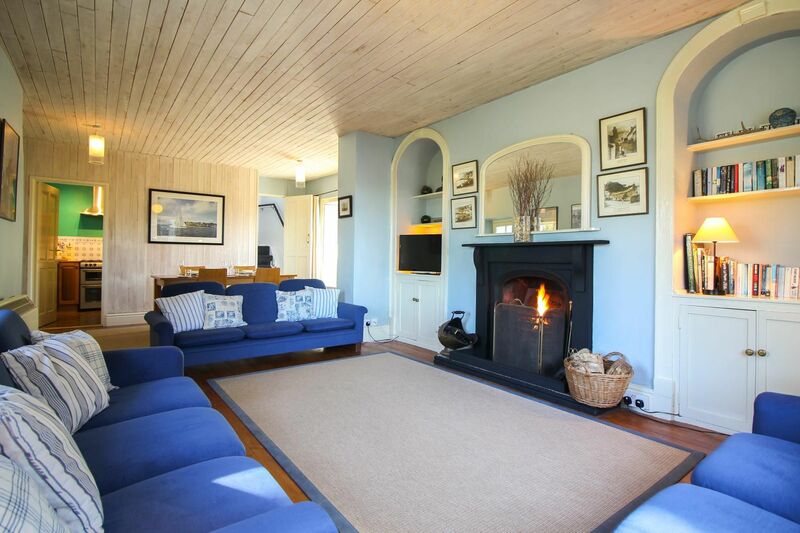 The cottage itself benefits from a particularly spacious triple aspect living room with polished wood floors, and open fireplace and glimpses across the bay from the windows. 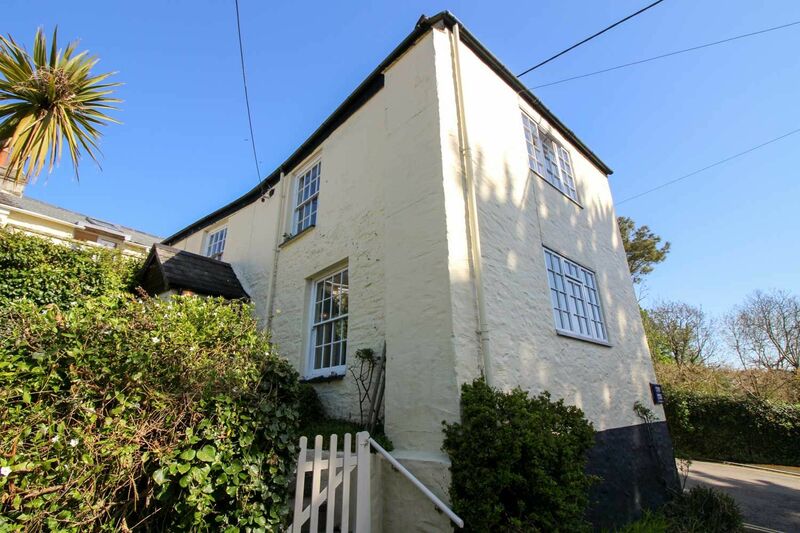 The property has good character throughout and will undoubtedly provide a superb base for a wonderful holiday in St Mawes. 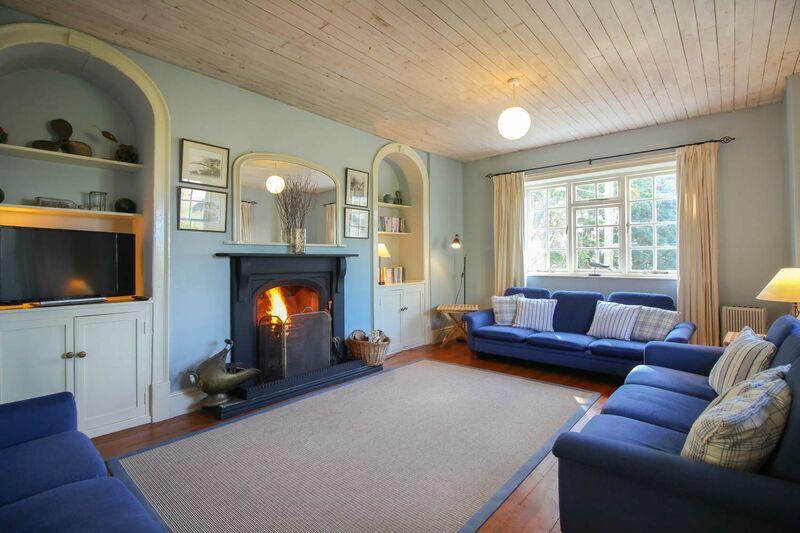 Ground Floor: Living room with 3 large sofas, open fireplace and large dining table. Useful porch for storage. Fully fitted limed oak kitchen. 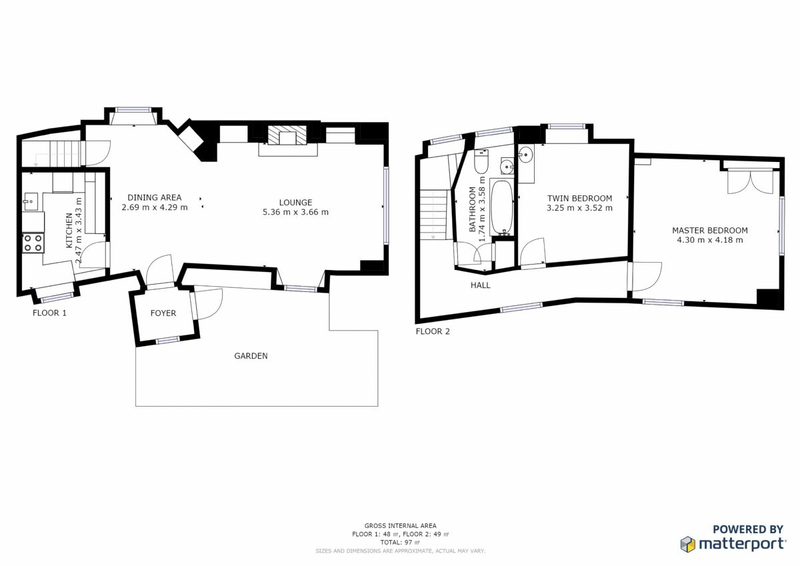 First Floor: Master double 6ft zip & link double with sea views, twin room with basin, bathroom with over bath shower & WC. Fold-out bed suitable for a child which can be used in either of the bedrooms. Exterior: A small sheltered enclosed patio garden with outside furniture & BBQ. 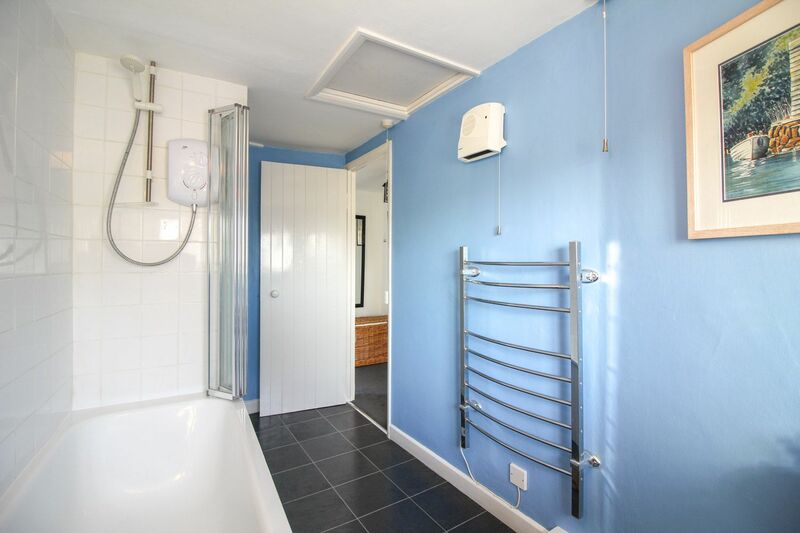 There is a night storage heater in the upstairs corridor and oil filled radiators in each bedroom. The living room has a night storage heater, an open fire and an oil filled radiator. The kitchen has an electric oven and hob, an integrated fridge and freezer, slim line dishwasher, washer/dryer and microwave. The lounge has a Smart TV, DVD and a selection of board games and children's DVDs. WiFi is available at the cottage. There is a cot & highchair available. 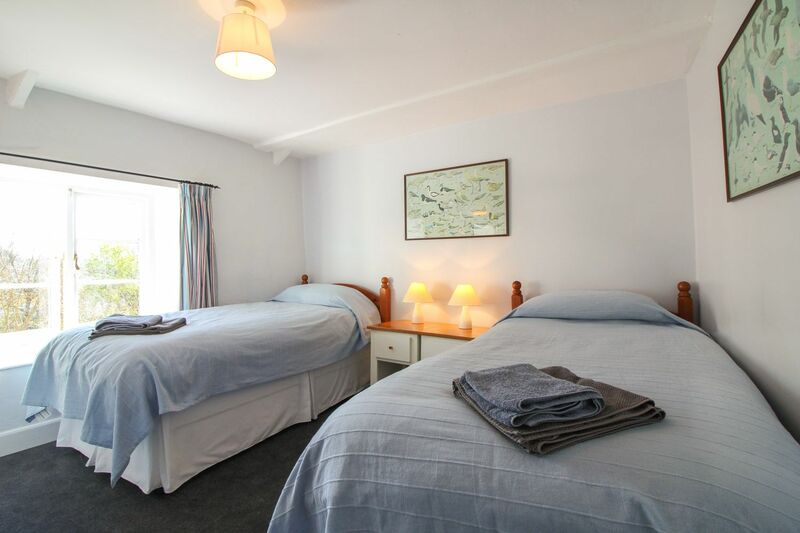 Electricity, bed linen and towels are all included but you will need to bring your own beach towels. There is parking for 2 cars in a private space just below the property. 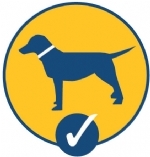 A maximum of two well behaved dogs are permitted at the property at a small additional charge of £20 per dog per week. Please remember that you cannot leave dogs unattended in the property alone. We regret no smoking is permitted. Discounts available for couples staying for 7 nights outside the peak season, using only one bedroom. St Mawes has so much to offer the visitor. St Mawes Castle was built by Henry VIII and is a splendid place to take in the views of the Carrick Roads. There are miles of coastal and countryside walks to take in and some idyllic beaches on which to relax and watch the world go by. The little Place Ferry takes visitors to explore St Anthony's Head or there are regular ferries to Falmouth. Being situated on the seafront, the village is also known for the restaurants and pubs that serve superb fish and shellfish dishes all year round.There are a selection of pubs and hotels with restaurants (including the famous Tresanton) all within walking distance. There is a well stocked local Co-operative store, Post Office, chemist and butchers all within 5 minute walk of the cottage.